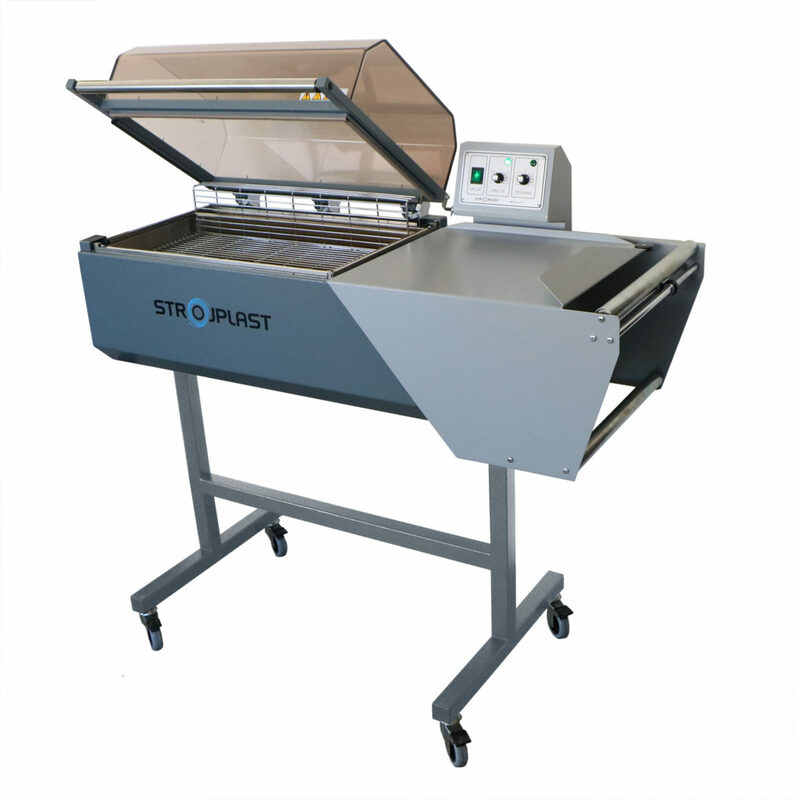 They enable cost efficient shrink wrapping smaller batches of products of medium and small size. Their capacity is around 300 packs/hour and are suitable for food industry, bakeries, retail etc. In case this capacity is not sufficient we propose manual L-sealers as faster alternative. Compact construction allows for long years of reliable operation. Sturdy construction and only standard components are used to enables easy and low-cost maintenance throughout the entire life-cycle of the machine. 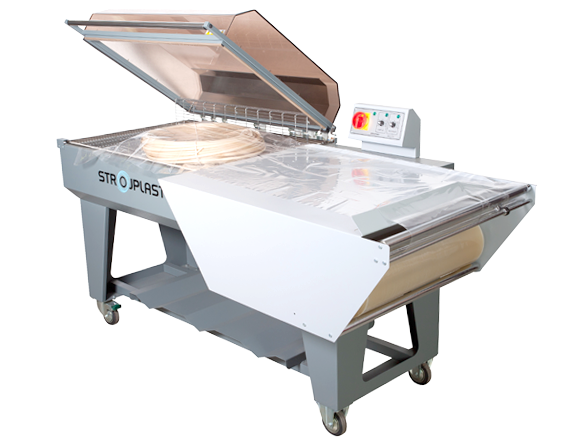 Custom made machines can be made to shrink wrap products of length of up to 1100 mm. 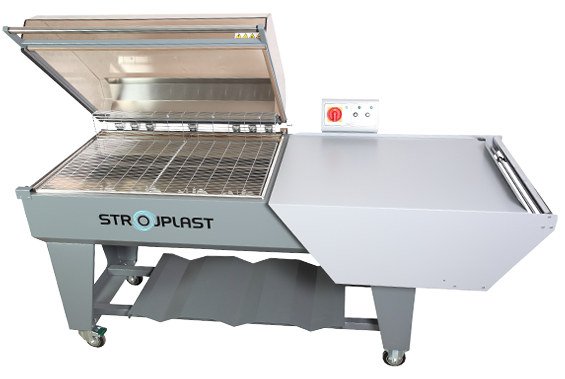 Option of electro-magnet assisted sealing & shrinking on models MP-300P and MP-450 that facilitates and speeds up process of packaging. PTFE-coated temperature resistant fabric designed to last two times longer which significantly reduces costs of regular maintenance. Height adjustable bottom of shrinking chamber for easy adjustment to the product height. Easy and quick change of film reel. Higher level of security is guaranteed with additional safety covering of heating elements. Standard maximal height of product is 250 mm (option of max. height 300 mm). Option of pedestal on model MP-300P.